Delivering Hope, a presentation tour by Christian Aid comes to Basingstoke at London Street United Reformed Church on Sunday 24 March 2019. The Delivering Hope presentation tour will be given by a representative of Christian Aid, Joanna Tom-Kargbo from Sierra Leone. 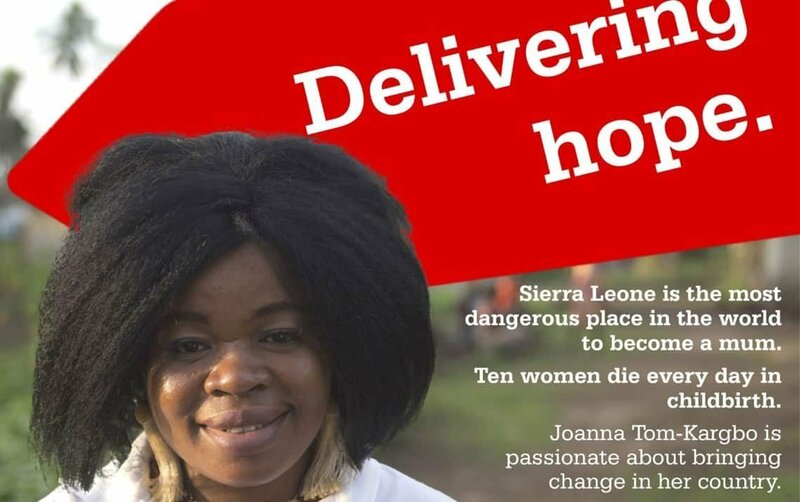 Right now, Sierra Leone is the most dangerous place in the world to become a mum: ten women die every day in childbirth. Joanna is a trained nurse and Senior Programme Officer for Christian Aid’s Health Legacy programme. She is passionate about bringing change in her country. Come and meet her, and hear her stories. Joanna is coming to London Street United Reformed Church on Sunday 24 March. She is taking part in Morning Worship at 10:30am followed at 12:15pm by a simple lunch of soup and bread with a presentation by Joanna and a Q&A session. Everyone is welcome to come to either or to both. If you intend to come to the lunch a donation would be welcome with the proceeds going to Christian Aid. In addition it would be helpful for catering purposes to contact Owen Collins, Church Secretary by email beforehand. Presentation with Q&A/refreshments. Parking at Tower Street or station. Joanna is taking part in Morning Worship service, followed by 12.15pm Bread and Soup lunch (donation please) with presentation/Q&A. Come to either or both.